The tenth-century Viking sword found in South Iceland last month will be on display for one day only at the National Museum of Iceland in Reykjavik. It will be available to view from 1pm to 5pm this Sunday, along with a spear and a knife found in a pagan grave last weekend. Video: Viking sword was just "waiting to be picked up"
“The sword is very delicate and cannot remain on permanent exhibition,” explains the National Museum’s PR Officer Anna Rut Guðmundsdóttir. 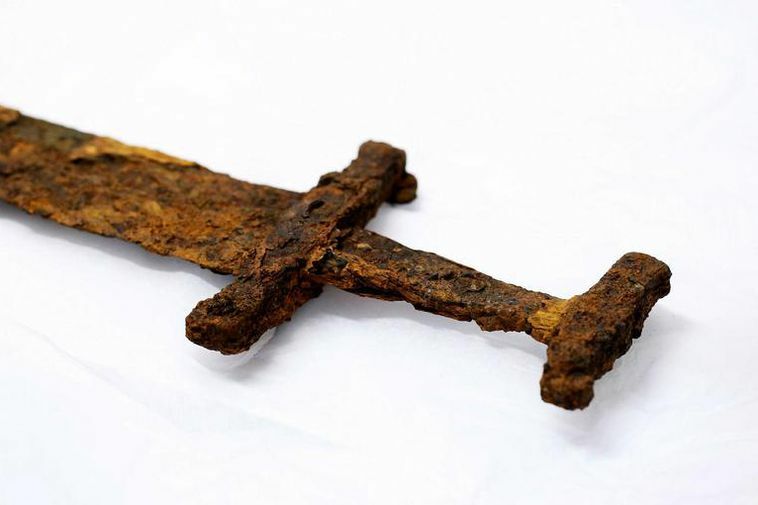 “But before we set about cleaning and analysing it, we have decided to give the public the chance to see it,” she says, adding that there has been huge interest in the sword since it was found back in early September. Guðmundsdóttir also indicates that archaeologists and conservation experts will be on hand during the short exhibition to answer visitors’ questions. The human remains also found in the grave are still being cleaned and will therefore unfortunately not be on display on Sunday.